To get our new video, click here…but keep reading for a special discount. I learned a lot of things in 2018. Top of the list? I can’t be everywhere. I know it’s true, because I tried. Last year, A Peace of My Mind led programming in 20 states. I drove 40,000 miles and flew even more. I crossed the entire country three times in one week and learned that scheduling will always be messy for this project. You go where you are invited. When they want you. And progress is not always in a straight line. We engaged directly with almost 10,000 people through our exhibits, studios, and speaking events. We touched many times that number through our books and online content. It’s hard to know exact figures but let’s say we reached 50,000 people, total, for the year. That’s a lot of folks. But here’s the rub. Census.gov puts our US population at 328,291,257 people. That means there are roughly 328,241,257 that I didn’t reach. Welcome to the wonderful neurosis of my artist’s mind. Welcome to the motivation behind our new video, called “There is Only Us.” And welcome to your assignment for 2019. It might be the sweetest way I’ve heard A Peace of My Mind described. And it resonates with what I observe every place I go. I’ve seen people’s edges soften. I’ve witnessed folks encouraged and inspired. I’ve heard rich and patient conversations that are desperately needed and I’ve witnessed people at their best, honestly trying to bridge divides, challenge bias, and see the world in new ways. But I recognize there are limits to where I can go. My bandwidth is finite. So we’ve created a 19-minute video from some of the stories in A Peace of My Mind. We’ve created a 30-page leader’s guide that has everything you need to lead a conversation in your own community. It’s plug and play. Dialog in a box. Those of you who follow this blog…those of you who follow A Peace of My Mind on social media…I’m looking to you to be the early adopters and we’ve tried to make it as easy as possible for you to say yes. I can’t image many places this conversation isn’t needed. And I can envision many places where it would be a natural fit. You can lead a one-time gathering or a 4-week series. It can work as an adult education session at a church. It can work in a civics class. It can be a brown bag lunch conversation at your business. It can be a neighborhood gathering or an extra meeting for your book club. We have a lot to talk about in this country. We have bridges to build and wounds to heal. This video can be a tool to help start that process and I’m asking for your help to get the snowball rolling. 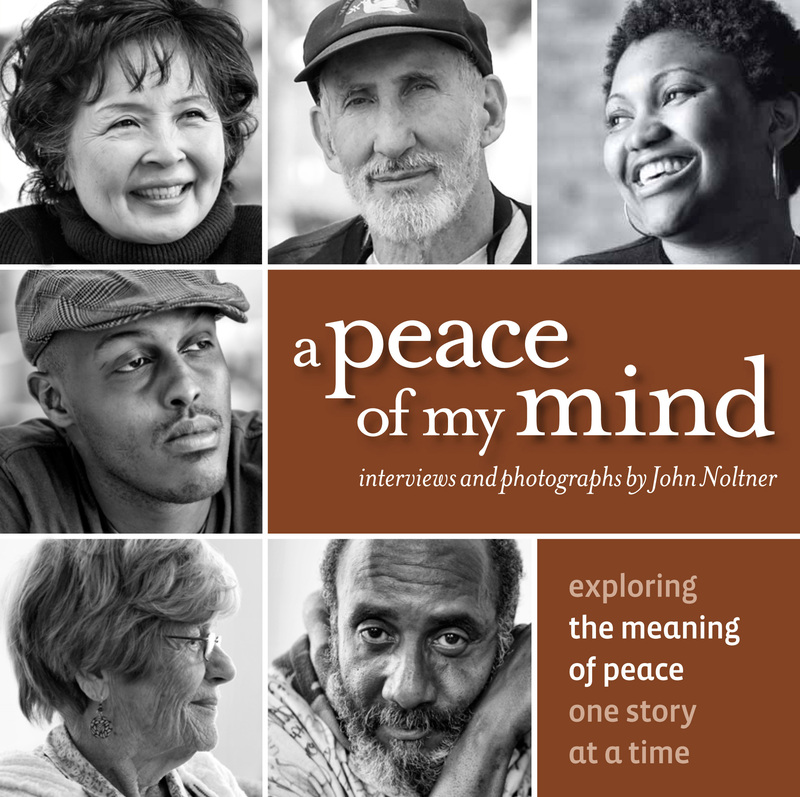 A Peace of My Mind is coming up on its 10th anniversary this spring and I can’t think of a better birthday present than to roll out these conversations all across the country in the belief that together, we can all do better. We’ve partnered with StarThrower Distribution to move this video out into the world. You can preview the video and read through the leader’s resources at this link. I’m asking you to think about where you’d like to see this conversation happening, and step up to the plate. The first 100 groups that lead this conversation will get the video on DVD or USB and the leader’s guide for $100 by entering the discount code: Leaders. The website will ask you for the discount code in the upper right corner of the screen as you move through the checkout process. Over the years, people have asked how they can help spread the message for A Peace of My Mind and I haven’t always had a tangible call to action, but we do now. Lead one of these conversations in your community, or find someone who will. Help bend our culture toward respect, dignity, and compassion. We will keep doing all we can to spread stories of hope, healing and reconciliation in the world. Imagine what we can do with your help. As the Dean of a small college in urban KCK, I am ordering this video to instill in my students an urgency for peace. Thank you for doing this for those of us who are unable to afford much more. Thank you, Lisa. Please let us know how the conversation goes.